So, apparently when you follow supermodels on instagram, you start to think that you yourself are IN FACT a supermodel. Yep, that is right. I strut like one, dress similarly, resemble one, and I am a model now. 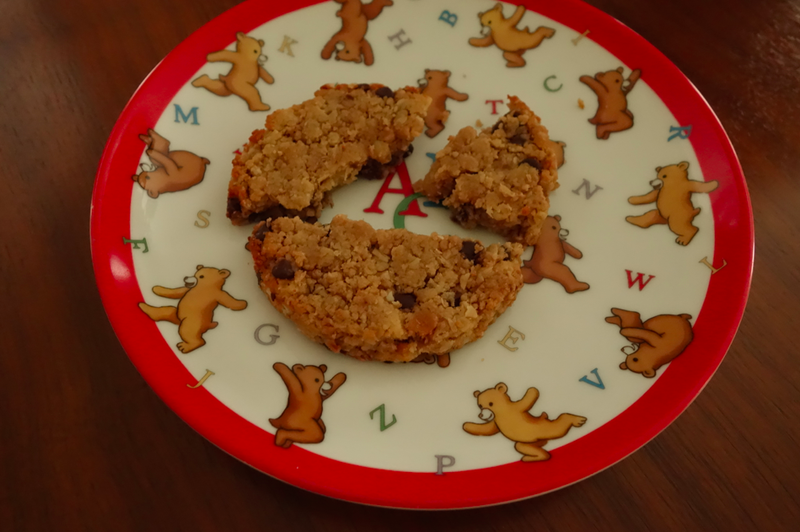 OK. Not really, but I *do* eat Karlie’s Kookies which most supermodels boast about chomping down on instagram. So that makes us similar, right? 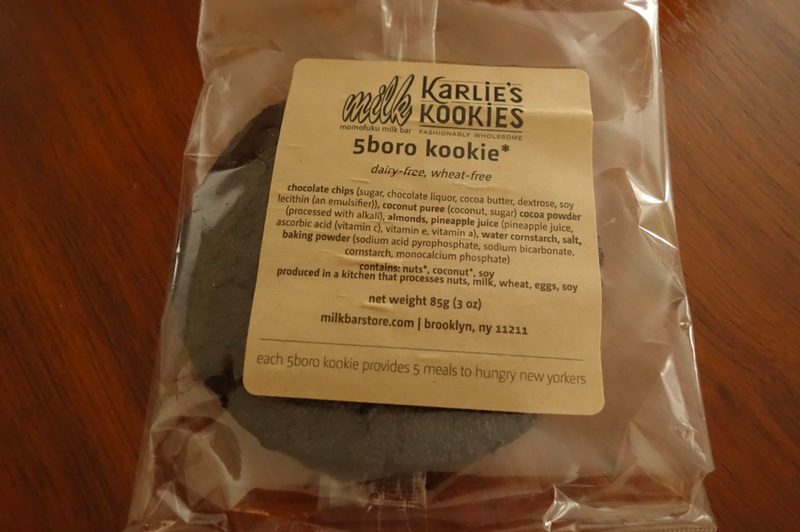 What is a Karlie’s Kookie? Well, all the celebrities and fashionistas eat them (and post them on instagram), so they must be healthy AND delicious at the same time. And what do you know? They really are. 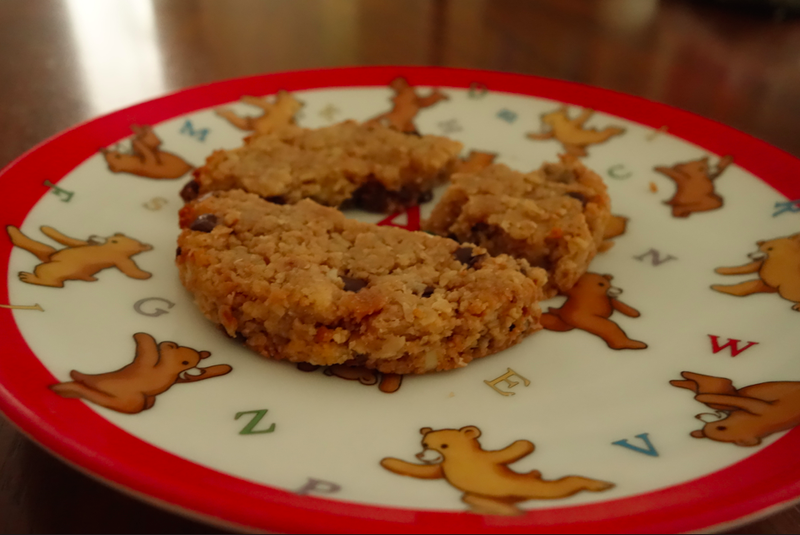 Cross my heart, swear to god, these little cookies are made out of healthy ingredients and are so tasty good, too. Karlie Kloss, an American supermodel, is in every magazine, advertisement, and catwalk on this earth. She is beautiful, charming (well, according to her instagram account), and knows how to make good cookies. 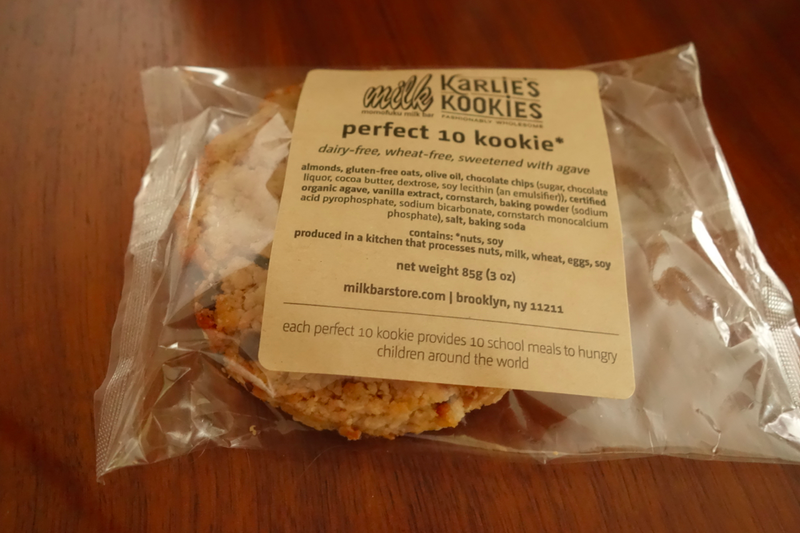 Karlie collaborated with the chef from Momofuku Milk Bar to create a cookie that is edible, tasty, healthy, and gave back to those less fortunate. Part of the proceeds of each cookie sold benefits hungry children around the world (through FEED Projects). 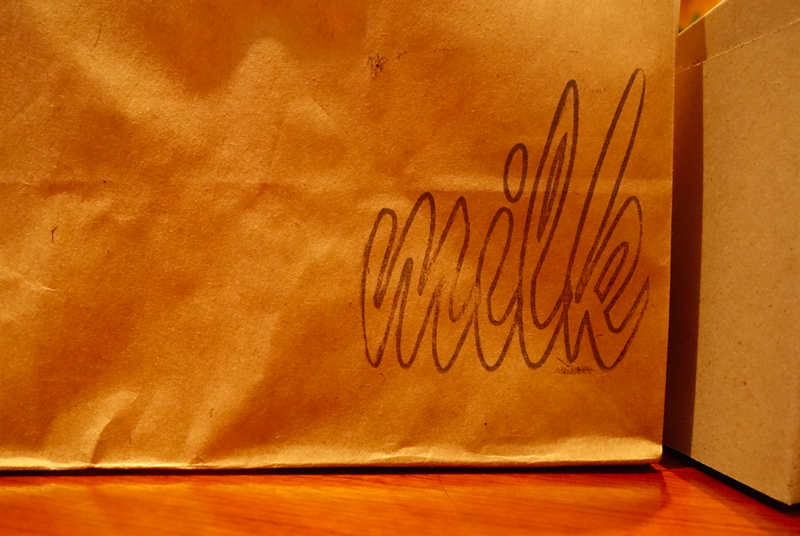 milk. it does a body good. especially with cookies. 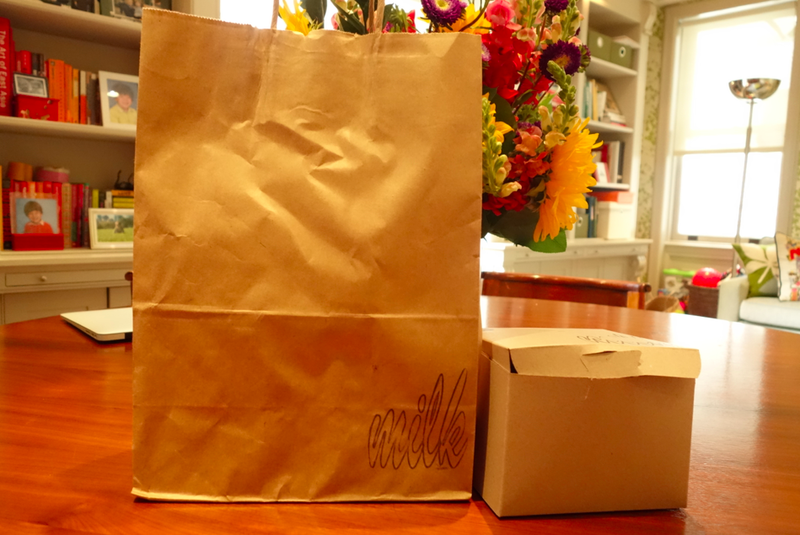 Momofuku sells both types of Karlie’s Kookies, at all of their NYC locations and online. The two varieties are: Perfect 10 and 5 Boro. The Perfect 10 is dairy-free, wheat-free, and sweetened with agave. 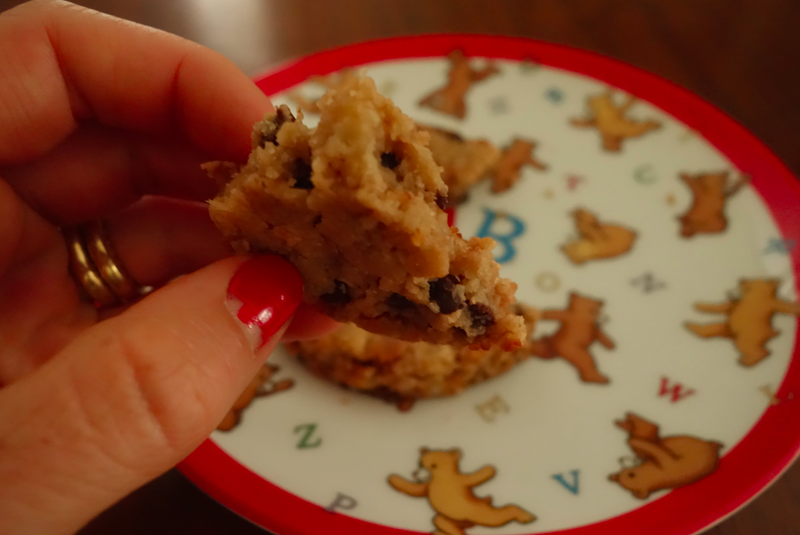 It is made of almond flour, gluten-free oats, olive oil, slivered almonds, mini chocolate chips, agave, kosher salt, vanilla, baking powder, baking soda, and cornstarch. It is so good that you can’t eat just one bite. The 5Boro is also dairy free, gluten free, with no added sugar. Its ingredients are cocoa powder, almond flour, coconut purée (90% coconut, 10% sugar), pineapple juice, mini chocolate chips, water, baking powder, cornstarch, salt. Also scrumptious. Perfect 10. YUP, a perfect 10. Not very sturdy, but who cares as they will not last long out on a plate. check it out. SO GOOD. Even supermodels get chipped nails and eat off of kid’s plates, right? Here is the recipe for the cookie. I can’t wait to try to make them myself. Hope you have a great weekend! I follow Karlie on Instagram too. These cookies always look amazing. Thanks! It is funny to follow a supermodel on instagram, but I am guilty of following them all. Not sure what is appealing about it, besides the cookies, but I continue anyways. i like the perfect 10 much better, but both are good. DELICIOUS. The chocolate one is insane. Do you mind if I quote a couple of your posts as long as I provide credit and sources back to your webpage? My blog is in the exact same area of interest as yours and my visitors would really benefit from a lot of the information you provide here. Please let me know if this alright with you. Thank you!